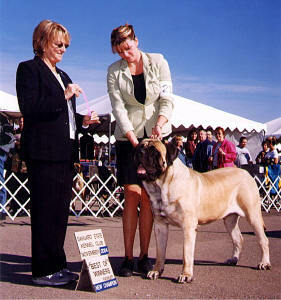 We are very proud, Farley received ALL his Championship points from the Bred by Class! Farley has been invited to the Eukanuba National Championships in Tampa Florida in January 2006! 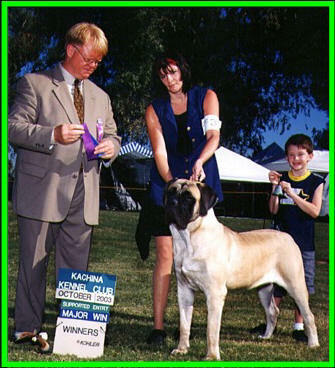 4 Point Major @ Kachina Kennel Club supported entry. 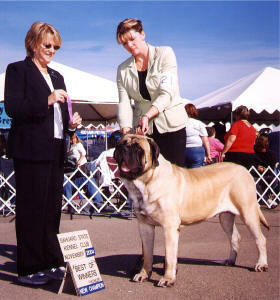 This was his second time in the ring. From the Bred by Class! 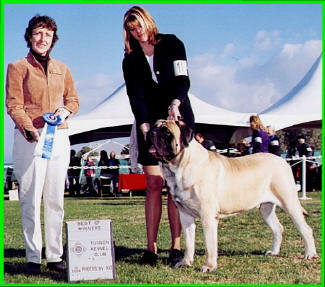 Farley takes his second Major! 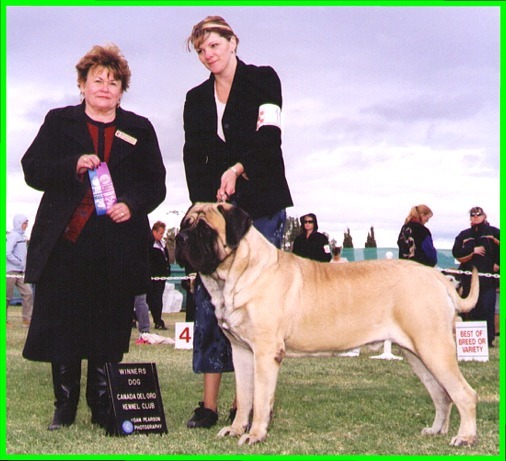 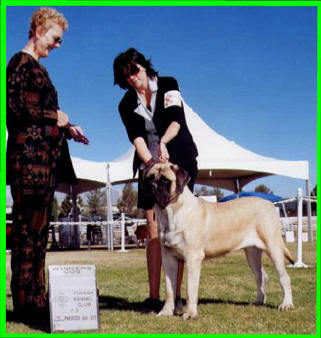 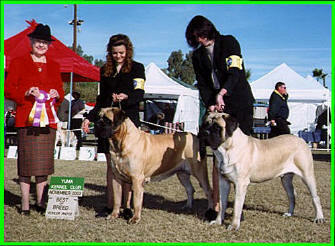 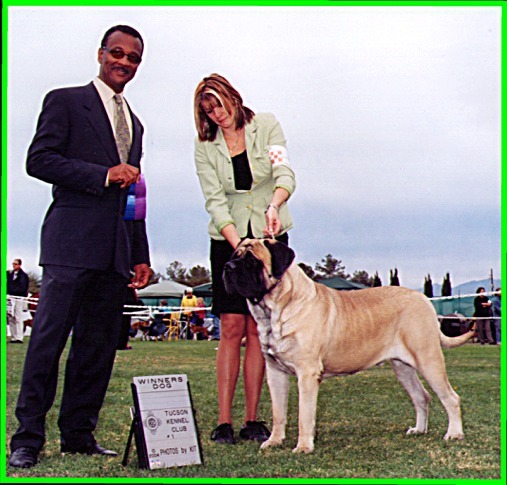 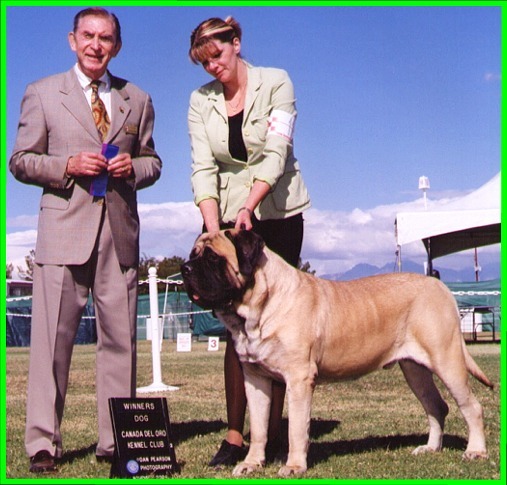 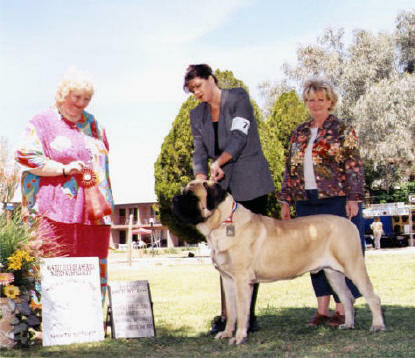 Yuma Kennel Club November 2003 at 12 months old. 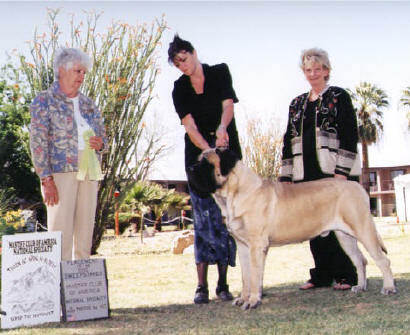 3rd Place in Senior Sweepstakes Dogs 15-18 months.